There are many reasons why France is the number 1 holiday destination in the world... picturesque towns, sprawling vineyards, magnificent rivers, impressive chateaus… the list goes on. Combine this with the French passion for cycling, starting with the development in Paris of the first 'pedal' cycle in the early 1860s, and Le Tour de France capturing the imagination of cyclists around the world every year. 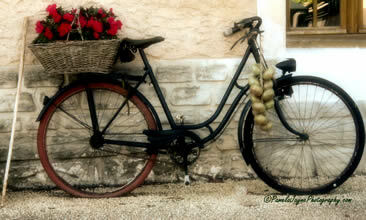 How can a cyclist resist France? In our view, exploring the country on two wheels provides the complete sensory experience, and one that the whole family can enjoy. You can set your own pace and immerse yourself in the sights, sounds and smells that the land has to offer. Unsurprisingly, France is well set up for viewing by bicycle, with dedicated cycle paths all over the country supplementing the vast network of quiet back roads. The Charente Maritime is one of Frances hidden gems… so popular with French people it is known as the real French Riviera. The Deux-Sevres region stretches from the gateway to the Loire in the North, to the 'Green Venice' in the South. The Gironde department in the Nouvelle-Aquitaine region of south-west France is famous for its Bordeaux wine growing regions, magnificent Atlantic beaches and expanses of pine forests. Nestled in the heart of France, the Haute-Vienne is one of the most rural and unspoilt regions of the country. The Atlantic coastal region of the Vendee in the Pays de la Loire, is renowned for its stunning sandy beaches and fashionable resorts. Named after the majestic river that runs through it, the Vienne region of Poitou Charentes offers cyclists contrasting landscapes, and an abundance of cultural heritage.